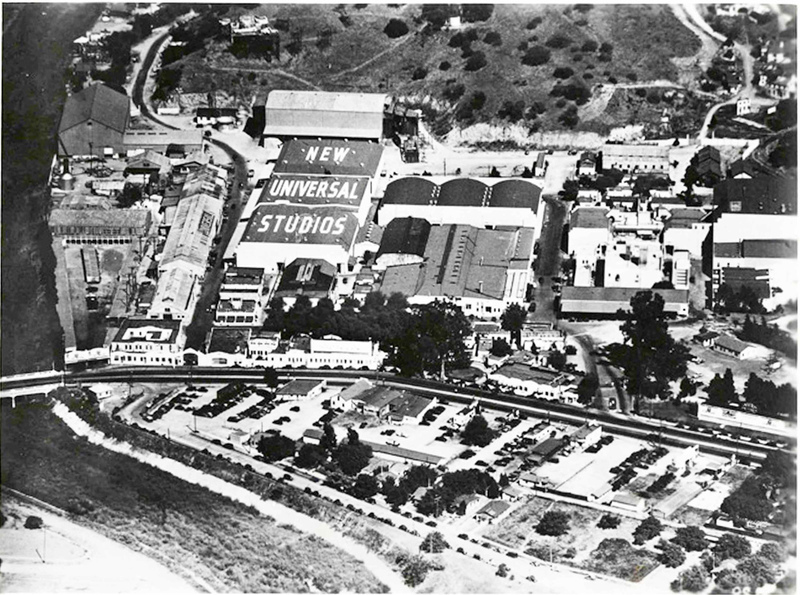 Aerial view of the Universal City Studios lot, 1943. 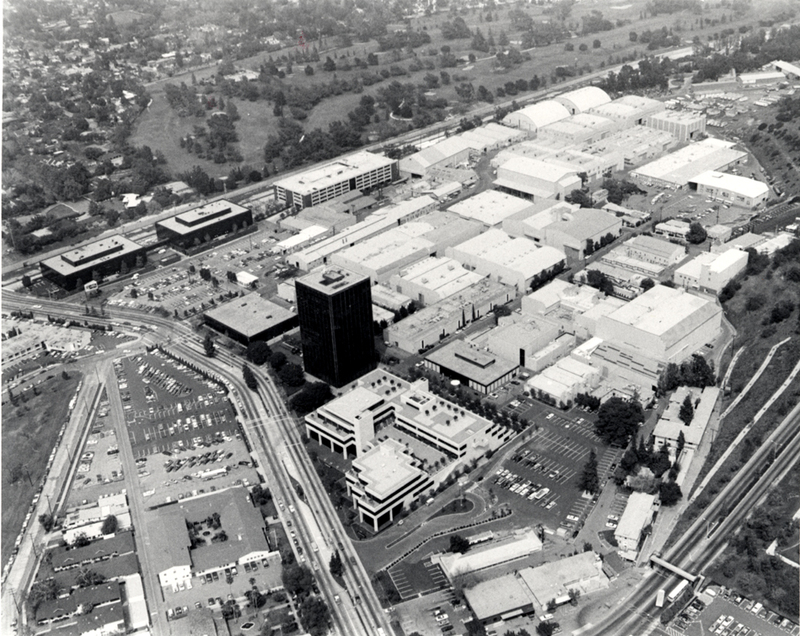 Photo from the Los Angeles Public Library Photo Catalog. 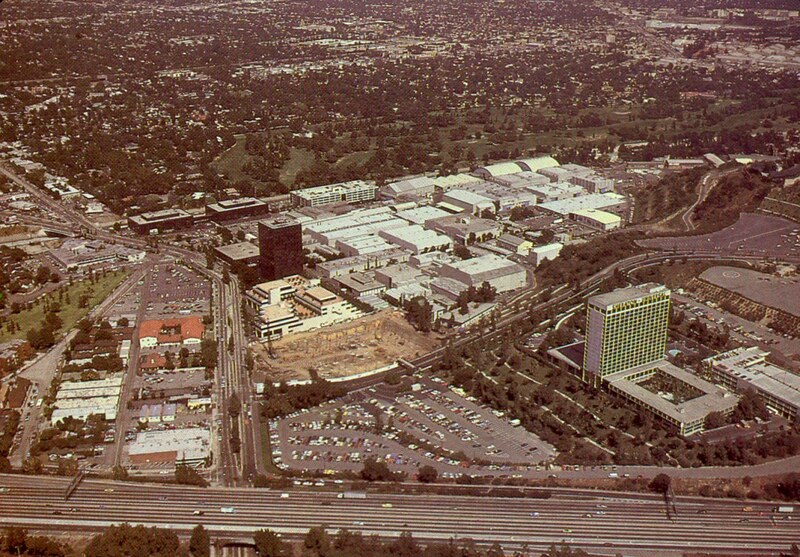 Front lot in 1978. Photo from The Universal Story by Clive Hirschhorn, 1983. 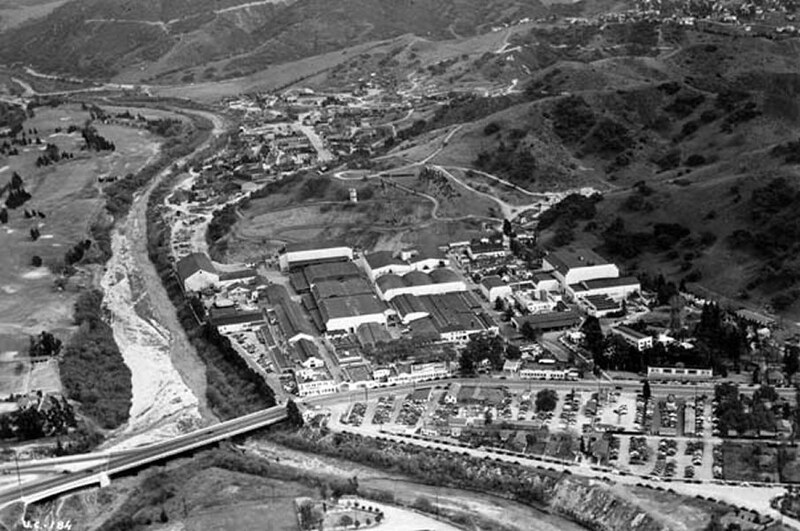 Front lot in late 1920s. 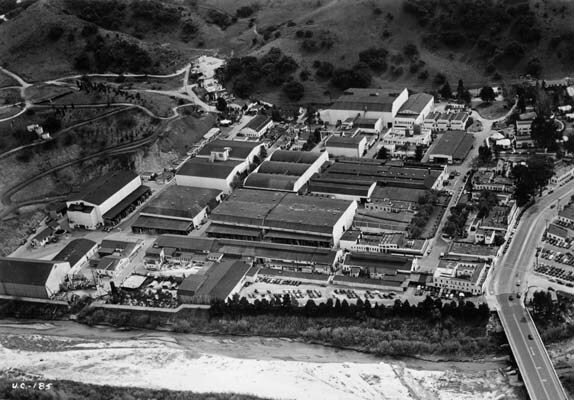 Stage 28 is the largest building on the frontlot, and the backlot area is off to the right, in the position currently occupied by the hotels and parking structures.